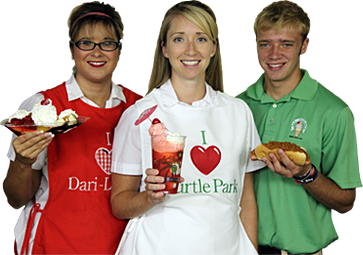 Our goal at Dari-Licious is to provide products of the highest quality... In an environment that is clean, fun, and family-oriented... With service that is friendly, efficient, and always focused on... Our Customers! Every Monday is coney discount day - made with our oh-so-yummy famous homemade coney sauce! As adults enjoy food and ice cream!